Read our expert opinion of 1&1’s hosting packages. 1&1 Hosting is an established host with massive datacenter capacity. We’re always impressed with the variety of services on offer, and the accessible pricing for small businesses. It would be great to see more plans offer a choice of datacenter locations to take advantage of its global presence, but despite that, 1&1 Hosting is a good choice if you want a host for long-term usage, and you don’t anticipate moving your data or mailboxes to another host anytime soon. What are My Hosting Choices? What Do You Get with 1&1’s Managed WordPress Hosting? SiteLock Basic vs. Premium: What’s the Difference? Which Control Panel Software Does 1&1 Use? What are Some Good Alternatives to 1&1 Hosting? 1&1 Hosting is a huge hosting group with offices in Europe, North America, and South America. It aims to provide a one-stop-shop for small businesses that need to get a website online as efficiently as possible. The company was founded in Germany in 1998 by Ralph Dommermuth, the chairman of parent company United Internet. The 1&1 Hosting brand launched in the United States five years later. 1&1 Hosting’s headquarters are in Montabaur, Germany. Eric Tholomè is the Chief Executive Officer. The company’s focus is on providing comprehensive business hosting at a low price. In addition, it sells services like Office 365, automated business listings, email hosting, and domain names. Core hosting packages at 1&1 fall into five main categories. 1&1 Hosting’s site builder is called MyWebsite, and is designed to help small businesses create a website without technical help. It includes a domain name and a treasure trove of resources, including themes, images, and text templates. Customers can drag and drop various types of content in place, and support is included in the price. There’s a separate e-commerce site builder plan aimed at businesses that need to sell online. This site builder includes convenient export to major online marketplaces, plus email marketing and social media tools. One domain and an email address is also included. Video: 1&1 Hosting intro – with puppies! 1&1 Hosting sells both Linux and Windows shared hosting. At first glance, the pricing looks similar, but the specifics of each vary considerably. For example, the cheapest Linux plan offers unlimited storage, websites, databases, and email accounts. On the Windows equivalent, only websites and storage are advertised as unlimited. If you dig into the Terms and Conditions document, you will find that the ‘unlimited’ figures have hidden limits. You can read about these later on in this review. For most users, Linux hosting is sufficient — in addition to being cheaper, Linux likely supports every piece of software you could want or need to run a website for your small business. Furthermore, Linux and many of the products that run on Linux are open source. This means that Linux hosting plans are cheaper due to the lack of licensing fees involved. However, there are certainly cases where Windows hosting is the better option. Generally, these use cases involve web applications requiring Windows. For example, you might have SQL Server databases, or you might have web apps built using ASP.NET or on the .NET Core/Framework. In such instances, you have no choice but to opt for Windows-based hosting. 1&1 Hosting offers managed WordPress hosting, which is available over 3 plans. WordPress is a great content management system (CMS), but using WordPress does require it to be updated and maintained — for example, you will want to make sure that your WordPress core is up-to-date so that everything stays secure. As a busy small business owner, one way to minimize the work required to maintain a WordPress-based website is to opt for managed hosting. In addition to getting a plan optimized for WordPress, you’ll get automatic updates to your core and issues fixes installed automatically. Each managed WordPress hosting plan includes a set amount of SSD storage, unlimited visitors, and one domain. On all Windows plans, WordPress is fully managed. But the plans do not include email service, so if you want email at your domain, you’ll need to budget for this separately. With that said, 1&1 Hosting’s managed WordPress hosting is among the cheapest available. Perks include automatic updates to the WordPress core, professional templates, and easy start-up and configuration. If cost is a major concern, 1&1 Hosting’s managed WordPress options might be a good fit for you. However, the lack of email and other perks (such as a dedicated support line accessible only by users with WordPress plans, like the one offered by competitor GoDaddy) means that you are giving up features in exchange for rock-bottom prices. 1&1 Hosting’s managed cloud hosting includes dedicated resources that are billed in minutes, rather than by capacity. You can design your own plan by choosing the software and resources you need, and 1&1 Hosting’s technical support team will take care of the software updates. Cloud servers can be ordered with Linux or Windows, and with a choice of datacenter: United States, Germany, or Spain. You can choose a managed option or a cloud server with root access. Dedicated servers include unlimited traffic. Various configurations are available, including Dell Business Line hardware. Virtual server cloud hosting is 1&1 Hosting’s version of a VPS hosting package. All plans include Plesk ONYX, SSD storage, and all the benefits of a cloud hosting infrastructure. Search engine rankings and local SEO tactics are critical to your small business website being found online by your target audience. They will make or break your business. It’s also important to realize that SEO isn’t a one-time action, but an ongoing activity that any small business owner can learn. Be found on vehicle navigation systems like Garmin, TomTom, and HERE. If you are handling any type of personal information, whether it is simply email addresses and passwords or customers’ full credit card and billing information, you will want to keep this data safe. To that end, you will need, among other things, a SSL certificate. SSL certificates “prove” the authenticity of your site and require the use of protocols that ensure that the data you transmit does not fall into unauthorized hands. 1&1 Hosting offers its customers six different types of SSL certificates, all of which are issued through Symantec, a security firm capable of issuing certificates. There are two types of certificates: those that are managed by 1&1 Hosting, and those that are managed by you. All 1&1 Hosting packages come with a starter SSL certificate, though you can upgrade to a more feature-rich option. SSL certificates managed by 1&1 Hosting are available to use with shared, WordPress, dedicated hosting plans, websites built with the MyWebsite all-in-one website builder. Every other website or hosting plan requires the use of a self-managed SSL certificate. While you are responsible for correcting any issues that pose risks to your website, SiteLock is a key component that can help you determine what those issues are. 1&1 Hosting SiteLock is an add-on (free with premium packages) that protects your site from malware and other security threats. Verifies, for your site visitors, your business details, like location and phone number. There are two versions of SiteLock: Basic and Premium. The Basic version allows you to scan up to 25 website pages, while the Premium version allows you to scan up to 500 website pages. The Premium version allows you to run daily, on-demand complete scans (as opposed to the monthly complete scans offered with the Basic version) and offers file change monitoring. Video: 1&1 Hosting business testimonial. The company currently has around 70,000 servers and has multiple redundant connections linking its datacenters. To keep its datacenters secure, walls are reinforced with steel and specialists monitor the centers 24/7. It’s not clear if they are privately owned or colocated. 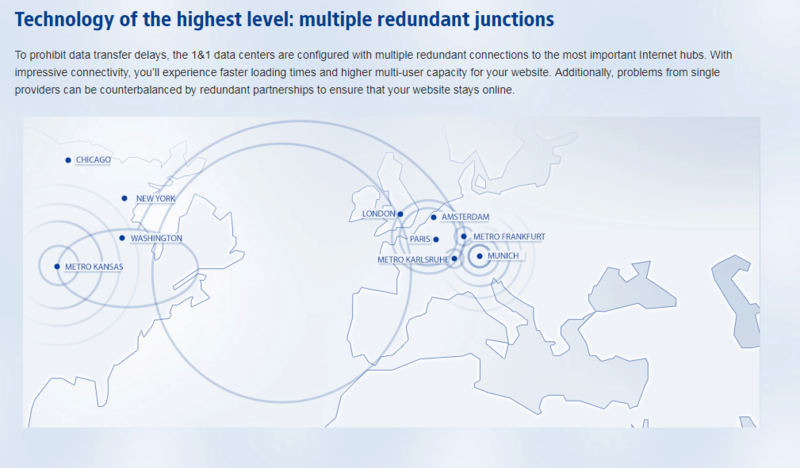 Despite 1&1 Hosting’s impressive global reach, options for customers are limited. Only its cloud server packages allow customers to select the datacenter that their site is hosted in, so if you have a different package, you should definitely use a CDN to speed up content delivery to customers. 1&1 Hosting does not prominently advertise its uptime guarantee on its shared hosting pages, but in its general Terms of Service, you’ll find a promise of 99.99% across all plans. This is actually a very good uptime promise since customers could claim compensation if there were more than four minutes and 24 seconds of downtime in a single month. That’s a way better promise than many hosts offer. There is one exception. The uptime guarantee on the VPS hosting page is advertised at 99.9%. If uptime is important to you, it would be wise to ask about the VPS hosting-specific guarantee before you sign up. If you do experience downtime beyond the permitted amount, you can claim a service credit for 1&1 Hosting. 1&1 Hosting says the credit will be proportional to the downtime that you experienced, but it doesn’t specify exactly what that would be. Credits are not automatic, so it’s up to you to contact them in the event that you are eligible to claim. There is also no cash alternative to a downtime credit. Video: 1&1 Hosting’s Website Builder. Unlimited storage means an “initial” allowance of 50 GB on your chosen plan. Your usage will be automatically checked once daily, and your allowance will be increased incrementally in units of 20 GB per day if the system detects that you are close to your limit. Users may have up to 250,000 inodes per account on Linux, or 500,000 files and/or folders on Windows. Email mailboxes are set up with 50 GB storage. There’s a 5 GB incremental increase when the mailbox reaches its limit, but this will take place no more than once per day. Email storage extensions must be requested by the user; it won’t happen automatically. In all cases, incremental updates are permitted no more than once per day. 1&1 Hosting’s fine print also says that it may move users to a “more suitable” higher capacity plan without prior notice. So if your usage is heavy, expect to be asked to pay more as your website grows. The control panel that you are assigned depends on the plan you select. 1&1 Hosting has its own custom control panel, and that’s the only option on shared hosting. Cloud servers come with the 1&1 Hosting cloud panel in addition. Dedicated servers and VPS accounts have the 1&1 Hosting control panel, in addition to Plesk ONYX for server management. cPanel is not provided on any plans. 1&1 Hosting brings all of its support resources together in an online portal that’s clear and well-organized. There are help articles and guides to resolve common hosting questions, and you can contact customer care by phone using the number provided. Live chat is available, but you need to go through a help wizard before you can access it. There does not appear to be a ticketing system or any way to contact support via email, but telephone support is available 24/7. Compared to many other web hosts in a similar pricing category, support options are limited. There are many ways to contact 1&1 for support. 1&1 Hosting offers a 30-day money-back guarantee, so if you find yourself unsatisfied with your hosting option, cancel your account with no further obligations. GoDaddy is one of the most well-known web hosts around, in no small part due to their popular, well-developed commercials and extensive marketing efforts. GoDaddy is not all style and no substance, however — they are one of the world’s largest domain registrars, and many are happy with the variety of hosting services the company offers. GoDaddy offers shared, WordPress, reseller, and VPS hosting plans. If you are a WordPress user, you will want to consider GoDaddy carefully, since the company offers a lot of options catering to those on this content management system (CMS). SiteGround is another very popular web hosting provider offering a range of solutions that can support websites for individuals up to large enterprises. SiteGround offers managed WordPress options with all its plans, and the company is known for its top-notch customer service. SiteGround plan benefits include SSD hard drives, the latest in technology and infrastructure, a free SSL certificate, auto-updates for popular software (like WordPress or Joomla), and solid security. All of the above means that SiteGround is much beloved by its customers — it’s website boasts a 4.99/5 star rating over thousands of users. 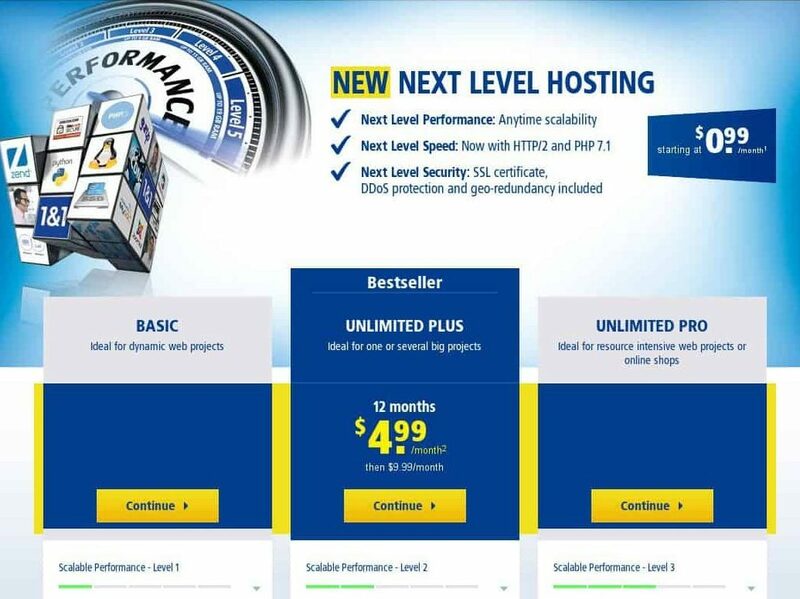 HostGator bills itself as offering powerful web hosting made easy and affordable. HostGator is very similar to GoDaddy and SiteGround, though its prices might be slightly cheaper than its competitors. HostGator offers excellent customer service, full-featured plans, and, important if you have an existing website, free website migration. HostGator is not as flashy as its competitors, but it is a solid option, especially for those who are watching their website budgets closely. 1&1 Hosting aims to provide everything a growing business needs in one place and the breadth of services demonstrates this. Whether you need an e-commerce store site builder or a dedicated server, there are plans that will serve your company well. 1&1 Hosting does lack features that make other hosts compelling, though. For example, it lacks any free migration tools, so switching data from another host could be challenging, and would likely involve some manual work. When you consider that most plans only come with a custom control panel, this makes it potentially challenging to move all of your data by yourself. If you have cPanel now, and you want to switch, you might need specialist help. If you’re in it for the long haul, and you don’t intend to move, you’ll enjoy 1&1 Hosting’s pricing and room for growth. Its uptime promise is impressive, and its service catalog is huge. We provide you with the best information and insights into web hosting companies. But if you still aren’t certain if 1&1 is right for you, check out our sister site, WhoIsHostingThis.com. It provides hundreds of reviews of 1&1 by users just like you. 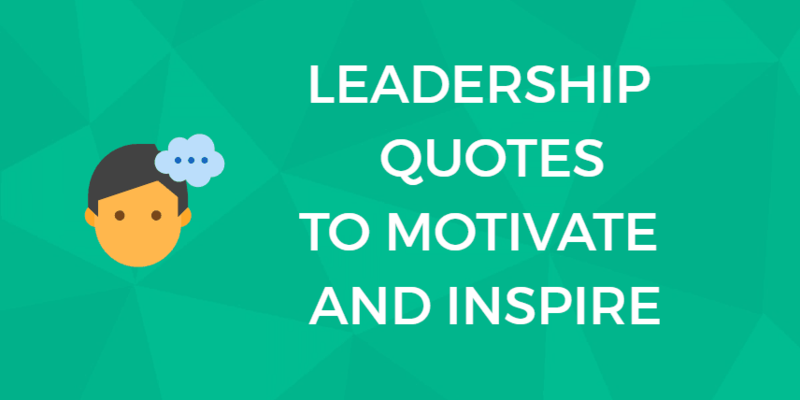 Find out what it’s like to host with them. Our Verdict: Great host, lack of free tools. 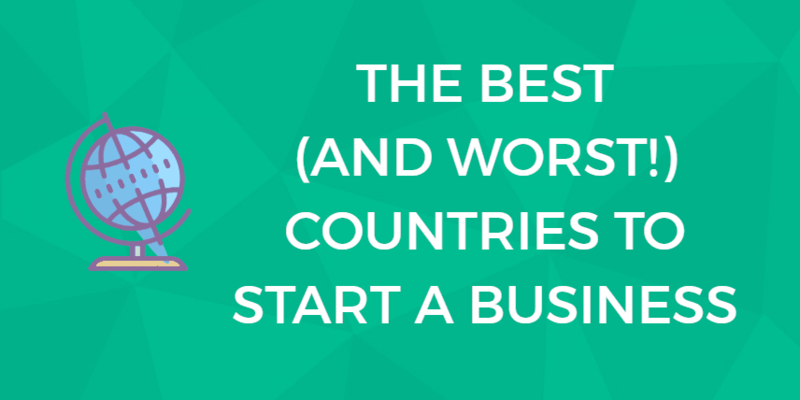 Previous: WestHost Review: Is This One-Stop Shop Right for Your Business?